Are things in the work world really as dire as in that quote? Didn't human society evolve from the realization that community and cooperation brought more benefit than detriment to each individual as part of a greater whole? And if the first part of this quote is indeed true then what does leadership in the work environment really mean? I've had the good fortune and have benefited from working at many companies in my career. These organizations included some that were big and some that were small, some well known and some just starting up, some domestic and some global and located in 3 different major metropolitan geographies. I've also had mentees from these and many other companies and places. Based on the what I've witnessed myself and gathered from all these sources I reluctantly (and unfortunately) agree that there is a lot of truth in the Drucker quote. Why is that the case? And how does leadership help? To answer these questions we need to first examine why friction, confusion and underperformance occur in the first place. Then see what steps are part of applied leadership (for what is leadership if it is not applied - impelling action in some form). Leadership is more than just a balm but a catalyst that creates a far more desirable, productive, high performance work environment. I cannot cover in a single blog post all the reasons why there is organizational dysfunction. For simplicity sake I will keep the explanation very high level: People come to work with a variety of motivations and understandings that often compete with one another. Team members don't have the same understanding of the company vision or mission. Team members that have the same understanding of the company vision and mission will disagree on what steps to take to achieve that vision. Some people aim to extract from the world the maximal benefit for the minimal effort. Others will give up benefits in order to enjoy the path of least resistance. (i.e. people who are 'lazy'). Many companies want to extract the maximum productivity from workers for the absolute minimal cost. And the list goes on and on. All these motivations existing in one place are in direct contention thus causing friction and confusion between people in that place. For example, if one person's desire to do less work causes someone else to do more work than they perceive is fair and both these individuals perform at a lower quality for a higher cost than the company wants to bear you are guaranteed friction. 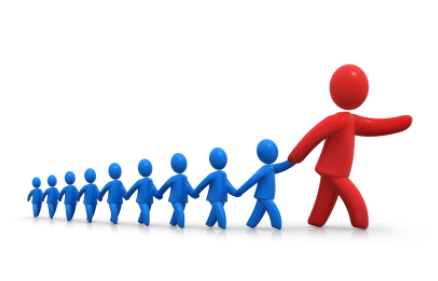 What does applying leadership in order to have a highly functioning team mean? Successfully inspiring individuals to see their part in delivering on a greater, unified, well understood vision and mission. Demonstrating that cooperation, while sometimes sub-optimal in the short term for certain individuals, will benefit all in the long term. Communicating clearly. Listening deeply. Being decisive. Hiring great people and coaxing greatness out of those already there. Granting autonomy while creating a safe space for making and learning from mistakes. There are of course many other important qualities of a good leader such as interpersonal skills, persuasiveness, etc. I've only listed the ones that are particularly important to overcoming Peter Drucker's naturally occurring dysfunction. All these steps take a lot of work. Perhaps the existence of this type of environment is the true measure of a great leader.